The number seven seems to be a magic number when it comes to hills. Rome was famously built on seven hills, and many other cities have made similar claims, including San Francisco, Seattle, Melbourne, Barcelona, and Istanbul, to name just a few. In Bergen, Norway, the residents dream even bigger: The city boasts not seven hills but seven mountains surrounding the city center. 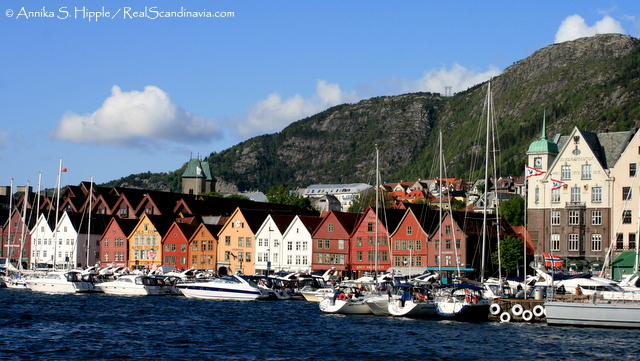 Sandviksfjellet rises behind the colorful Bryggen wharf. The mountains offer outstanding views of the city and its stunning setting, as well as an extensive network of hiking trails for various levels of physical fitness. 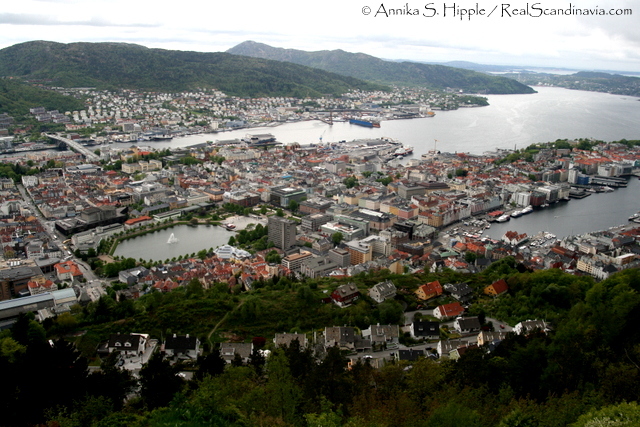 The easiest mountain to visit from downtown Bergen is Fløyen, which forms part of the backdrop for the city core. The Fløibanen funicular travels up the mountain from the city center near the fish market and the Bryggen wharf. It runs every 15 to 30 minutes from 7:30 a.m. (8 a.m. on weekends) to 11 p.m., and the adult fare is 43 NOK one way or 85 NOK return. There are numerous hiking trails on the mountain as well as a lake where you can go canoeing or enjoy a picnic or barbecue. Many people choose to take the funicular up the mountain and hike down the trail back to downtown. Also popular is a trip by cable car up Mount Ulriken, the highest of Bergen’s mountains. The trip costs 95 NOK for adults one-way (155 NOK round-trip). Bergen Sightseeing runs a hop-on, hop-off bus tour that stops at the cable car; combination tickets are available that include both the bus and the trip up and down the mountain. One popular day excursion is the 15-kilometer (9.3-mile) hike across the plateau known as Vidden between Ulriken and Fløyen. The Ulriken cable car and Fløyen funicular make convenient starting and ending points for the hike between the peaks, which takes approximately four to five hours. Every year the Bergen Hiking Club organizes the 7-Mountains Hike, a roughly 35-kilometer (21.75-mile) hike with a total ascent of about 2,300 meters (7,546 feet). There’s also a shorter version, the 4-Mountain Hike, for those who don’t feel ready for the seven-mountain version. Both take place annually on a Sunday in late May. 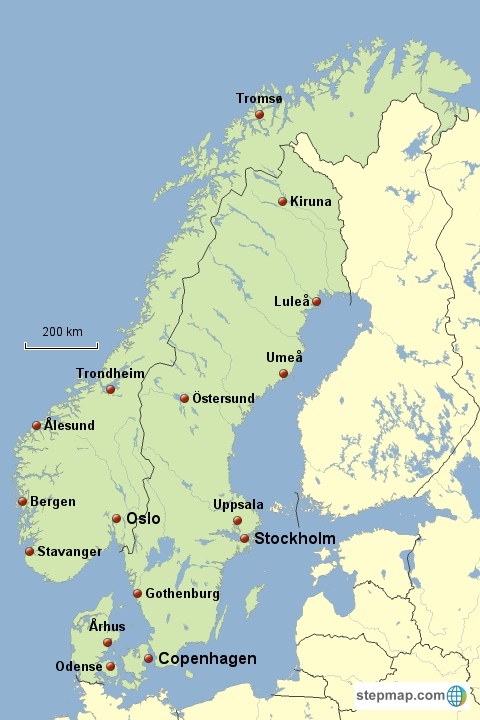 For more information: The Bergen Tourist Information center can help with information about trails and other activities in the mountains, as well as tickets for the Ulriken combination tour. The information center is located at Strandkaien 3 by the fish market. See their website for opening hours. Has a date been set for the 2017 hike?